So here we are. The last game of the season. Before we delve into the National Championship, let's briefly review the year and bowl season. We finished the year picking 147 games, winning 76, losing 67, and pushing 4. In our bowl recommended plays, we went 8-4. If you were riding with us for the entire season, you probably returned about 3% - 5% on your bankroll. We will improve on that number as we continue to build our database and tweak our algorithms, but returning 5% while betting on almost 150 games is a win in our book (literally and qualitatively). frontrunners to win the national title. Well we all saw how far apart those two really were. Alabama completely shut down the Tiger offense. Clemson only had one legitimate scoring drive. The 2nd of their two scoring drives was for 4 plays and negative 5 yards. The point is, those injuries Bama was dealing with down the stretch have largely been healed and Saban’s defense is back to a scary NFL-esque juggernaut. Even with a significant portion of their front 7 banged up, they still only gave up 11.5 ppg this season. 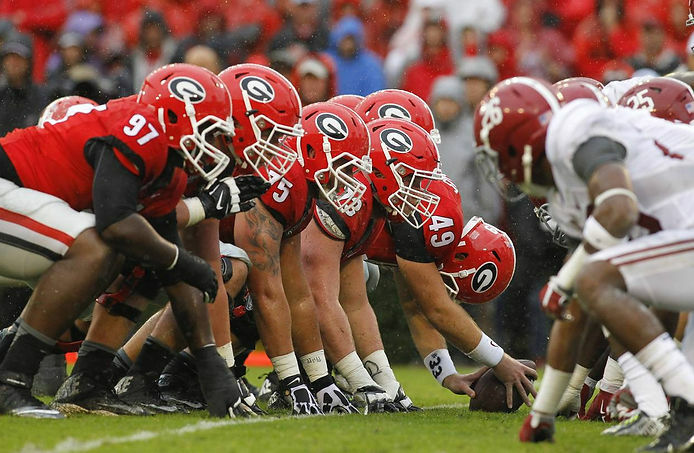 There is no doubt that Georgia boasts a formidable defense (13.2 ppg), but they just gave up 48 points and are still yielding 112.6 ypg on the ground. No one is going to claim the Bama offense is going to light up the scoreboard, but despite their fumble in the semi-final, they tend to take care of the ball. This game will most likely be a low scoring affair, tilted on a big turnover. Our guess is that will come from the hands of Bulldog Freshman QB Jake Fromm. Fromm has been great this season, but he has not faced a healthy Alabama defense, in the National Championship, led by a pissed off Nick Saban. Given these facts, we’re taking the Tide giving just 3.5 points. Be sure to follow us @promathletics.